My feeler post recieved the minimuim number of interested people or me to watn to do this, so here we go! 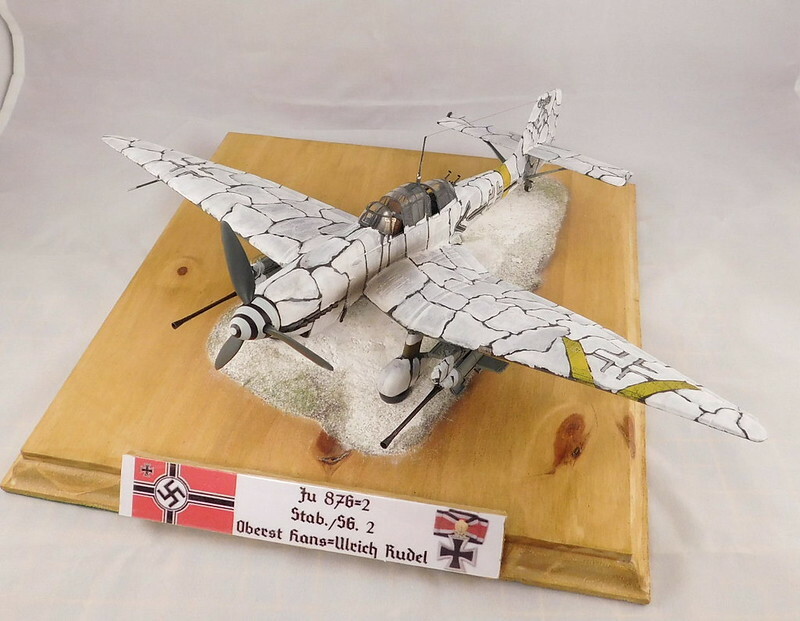 This GB focuses on aces, notable pilots, and incredible aircrews who fought and flew for axis powers from 1938-1945. -What is considered notable? As a general rule, if they've got a wikipedia page, they are in. If you can read about them in a book, they are in. If they are an ace by their countries standards, they are in. 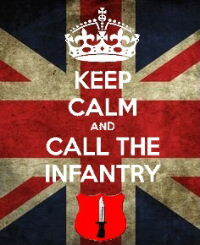 If they complete a long or notable tour of duty or highly specialised mission, they are in. Even if they are not an ace by their nations standards, if they are noteworthy in another aspect, (i.e. Hans Rudel) they are in. 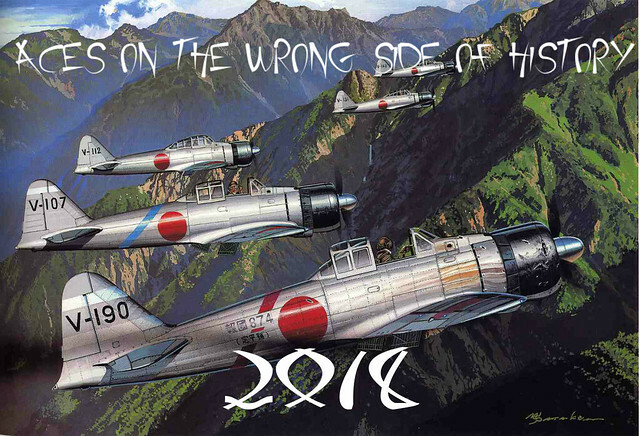 -The aircraft MUST bear the markings of that pilot or aircrew. -Any front, any time within the alloted period. 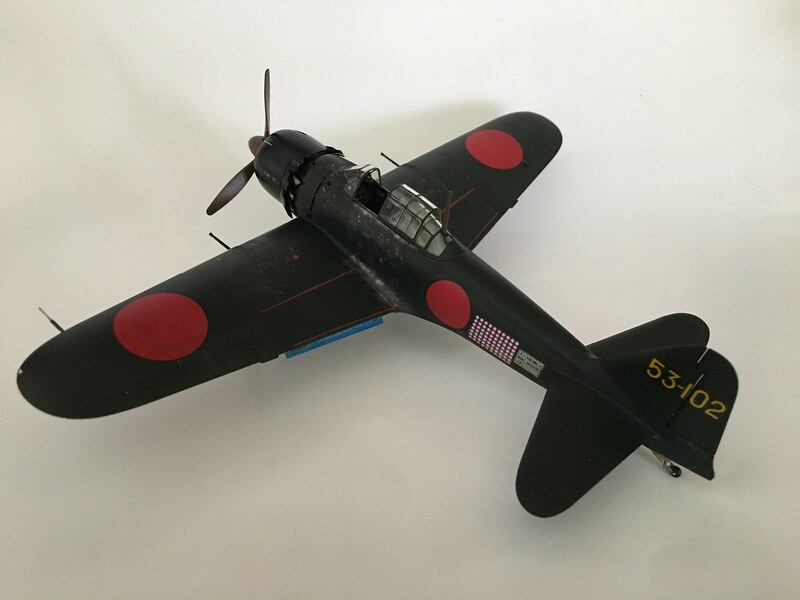 -Already started builds are accepted, as long as you haven't started painting the main airframe. -Aftermarket laden or straight out of the box, all that is fine. -EDITED 1pm EASTERN US TIME, April 13, 2018: figures and busts, should they meet the above requirements, are now permitted as well. *some odd cases could be considered. 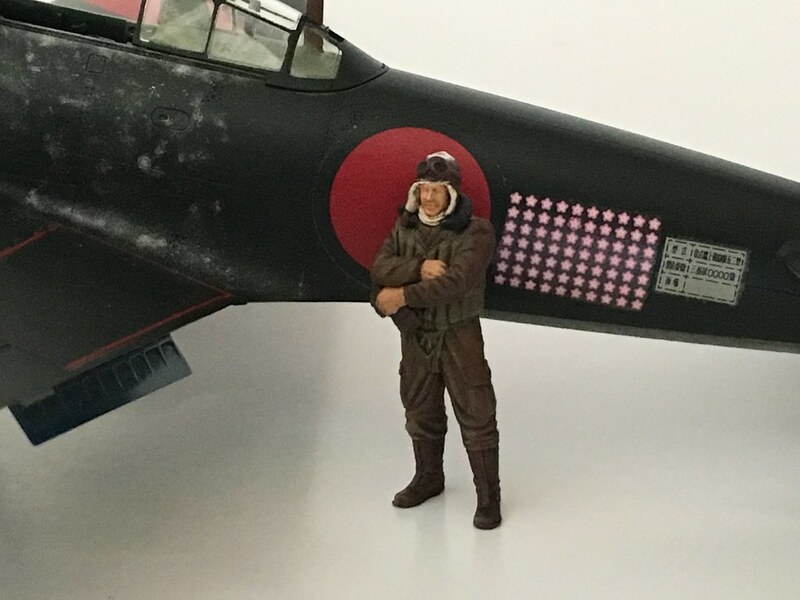 For example, though the Soviet Union is considered an allied nation, if you can find soviet planes or soviet aces that took part in the joint invasion of Poland, that might be considered an Axis-allied pilot. Come on in and join the party! Currently, we've got 17 modellers participating! Nice badges. Ok, count me in! 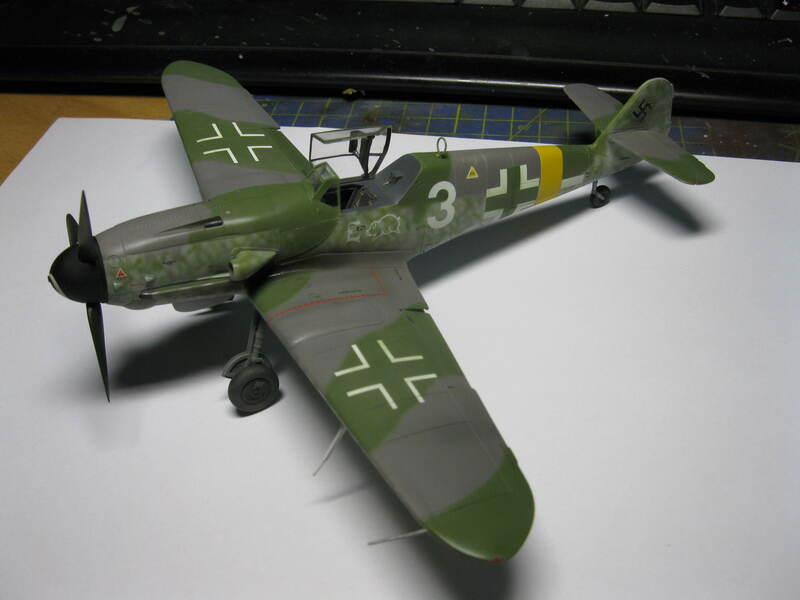 I’ll be good for something 1/48 Luftwaffe. Subject is TBD. Count me in I'll let you know what ace here the next few days. Thanks! Added you as TBD. Count me in i'll let you know what ace here in a few days. 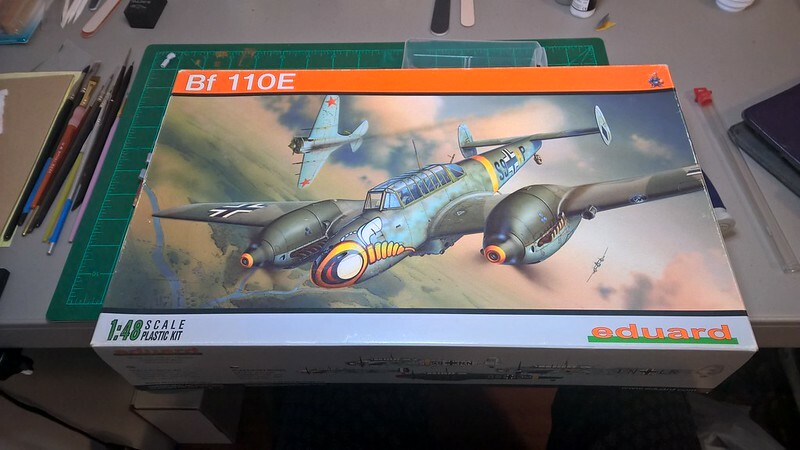 Count me in, i'll be building the Hasegawa 1/48th Ju 87G-2 as flown by Hans Ulrich Rudel. It was next in line to be built after my current 251, so its perfect timing. I should be able to start it next week with any luck. Count me in please, I'll advise a subject in a few days. 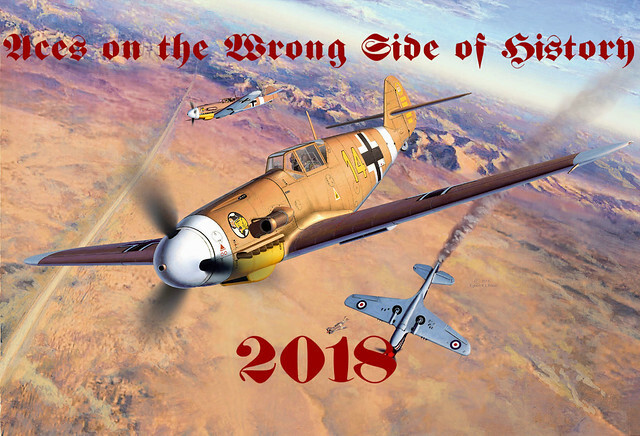 I'd like to come in with the 21st Century 1/32 Bf109G-14. I'll do a very minor cosmetic 'conversion' to depict the tall-tailed and Erla-haubed G-6 that was the last wartime mount of Finnish 35-victory ace (and Mannerheim Cross recipient) Nils 'Nipa' Katajainen. Taxtp, gregbale, crown, welcome! I've added you the the roster. Crown, I can't wait to see someone build that kit! I've been eyeing it myself for a while. Put me down for TBD. I need to see what I have and can do. Could you count me in on this GB? 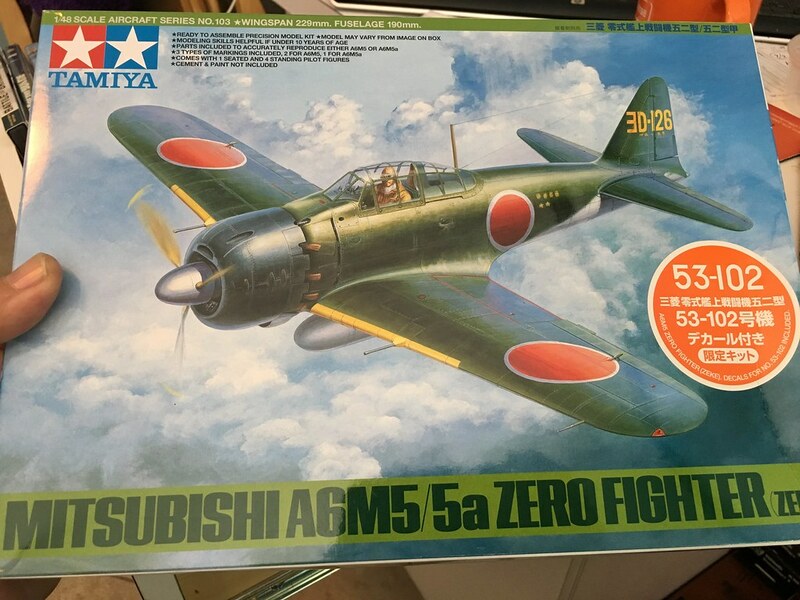 I have the AZ Model Me-109F-4 in 1/72 of Gunther Rall I would really like to do. OK I got one, if you accept crossovers from another GB. 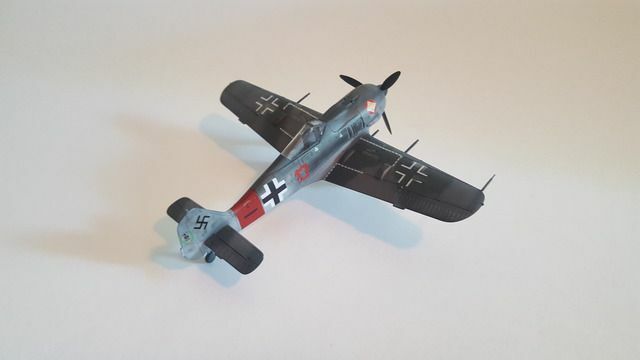 1/72 Academy Fw-190A8 flown by Heinz Bar. 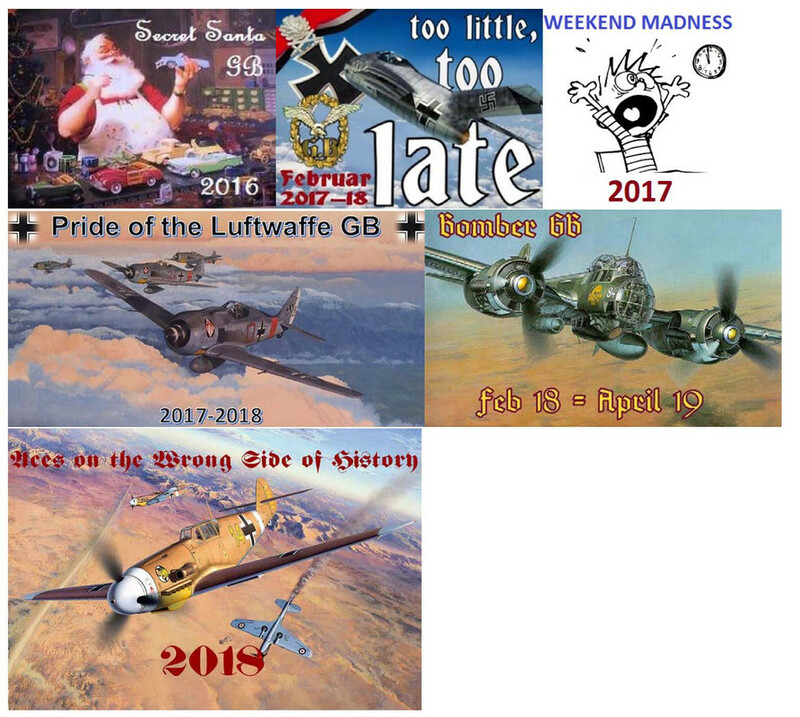 Do have a question, what about an aircraft subject that was flown before reaching the customary ace status of five victories? Modelcrazy, I updated your entry. aeroplanegripper, welcome! I've added you to the roster. As long as the pilot went on to meet the criteria, it's all good. 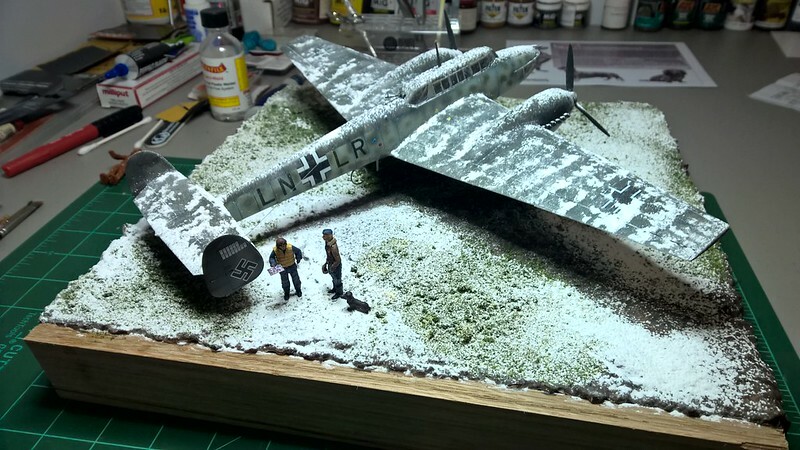 Ok, I’m going with Eduards 1/48 Bf 109G-6. Specifically, Alfred Suraus chariot with the cool yellow eyes on the gun bulges. He had 45 confirmed kills! 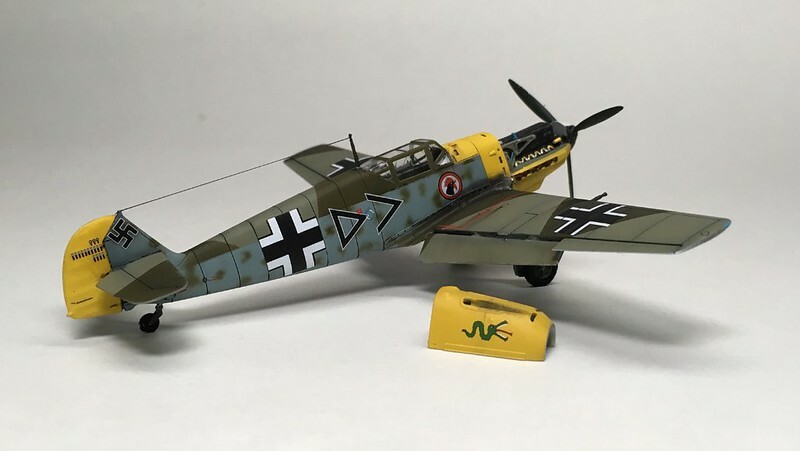 Ok, I’m going with Eduards 1/48 Bf 109G-6. Specifically, Alfred Suraus chariot. He had 45 confirmed kills! 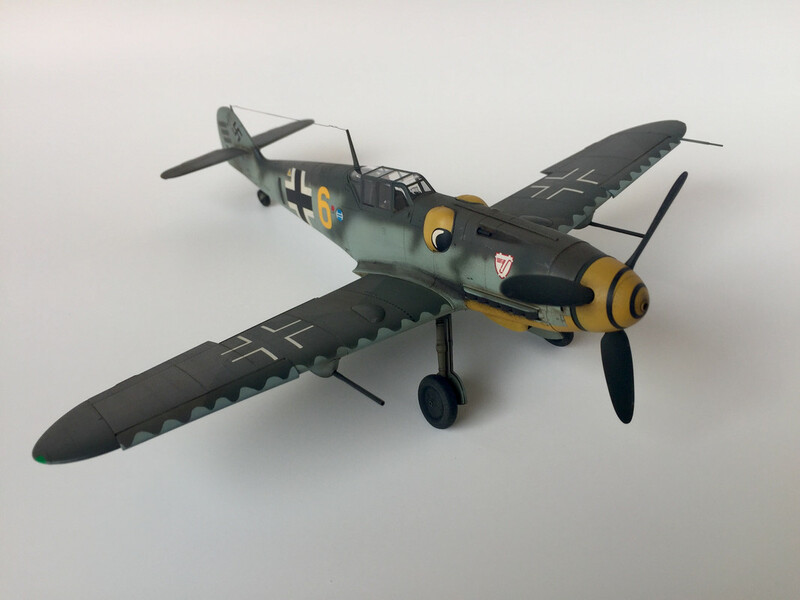 After looking over the stash and what marking options I had I've picked Eduards BF 110 E as flown by 14 kill ace Lt. Felix-Maria Brandis he was killed in 1942 when he crashed on the return leg of a combat sortie during bad weather. Waggish, thanks - for now just put me down as TBA. I've an idea what I'd go with if I started right now, but that could change altogether by the time the bench clears up. Rambo, you're updated. jgeratic, I've added you. Also, I've started on my builds! Pics to come tomorrow. If you will have me, I would like to take part in this group build. 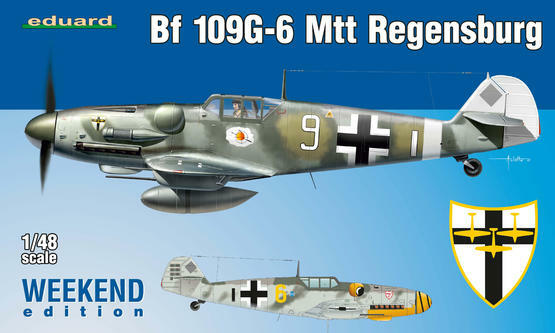 I would like to enter with a 1/48 Eduard FW-190A-4 in the markings of Major Hans "Assi" Hahn with 108 victories. I won't be joining because I've got too many irons in the fire. But, I wanted to say that I'm impressed by your hosting. You're doing it the way it should be done. ExtremeTeam, welcome! I've added you to the roster. We're doing the same ace :) I'm doing his 109, though. It's too bad that you couldn't join in this time. If you don't mind me asking, which parts of my hosting am I doing well? I want to be sure to continue doing those things. Over the last two days, I got a fair bit done on my Airfix 109 submission- I went from virtually untouched kit to fully assembled airframe, ready for primer and painting. The build starts with the cockpit, and it fits with typical airfix new-tool ease. There's a fair bit of detail as well, and I haven't installed the IP yet. I assembled the cockpit as one sub assembly, and began painting. I pre-shaded the interior frames with NATO Black, and sprayed the cockpit with Vallejo RLM 02. Once that dried, I used oils to build up a bit of grime in the framework, and picked out details. Here is the only picture I apparently took of some cockpit detail pre-installation. As I prepared to join the fuselage halves, tradgedy struck! Due to my own benchtop negligence, I unwittingly dropped the left side- (in my shelf, the DISPLAY side) into a pool of polycement. This was the damage. A gob of putty and some sanding later, however, and the disaster was averted. With the hole filled, I assembled the rest of the airframe. I then came to my first bit of indecision- whether or not to detail and display the engine. On the one hand, the engine provided is pretty nice. On the other hand, however, it is pretty simple. In the end, I decided to go ahead and do it. I just wanted to add a couple of distinguishing details of the E-4's engine. Looking at pictures, I tried to find prominent features I could add at the scale. On the right side, a very noticable (presumably coolant0 line was visible. So, using stretched sprue, I added this to kit engine and painted it blue. I also added a little joining cap to the point where the pipe enter the engine block proper. On the same side, I cut a little bit of stretched sprue, and added the electric starter onto the gearbox. On the left, I simply painted the engine block. This section was painted black first, with the grey mount handbrushed with RLM Grey and 'grimed up' with burnt umber artists oils. The engine done, I sanded down my seams and sprayed primer. Tomorrow, I should be able to get a fair bit of painting done. Waggish: We've all had a glue mishap like that before I'm sure you can sand it right out. You are doing a good job of staying on top of things hosting. I've got a armor build going on right now hope to be done with it by the end of the month then I should be starting on this build. WA, despite the glue accident, and i concur with Clint, we have all had that happen, that Emil looks great. I built the Airfix one a few months back and it was joy to build, looking forward to seeing it with the paint on. I've got a armor build going on right now hope to be done with it by the end of the month then I should be starting on this build. 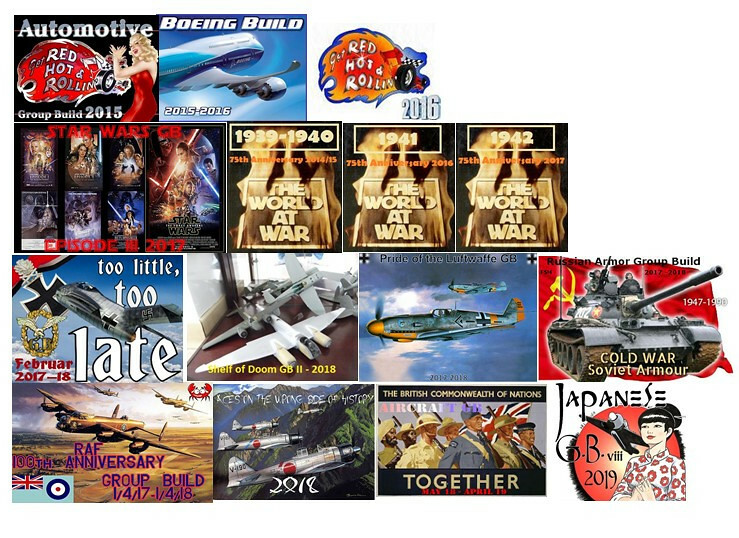 I built the Airfix one a few months back and it was joy to build, looking forward to seeing it with the paint one. Thanks! I've had the day to do nothing but paint- Just have to take off some tape in an hour or two and I can show the result of that process.